Hello from NE Texas. I started out in 2012 by rebuilding my father's wrecked '95 R100rt classic. Loved riding it and wife did too but wanted more updated rear seat area. So we bought a '12 R1200RT. She's much happier there. After the '95 sat in the garage the last 3 years I caught a bug to strip it down to a cafe racer. I'll be looking for input and documenting the build along the way. 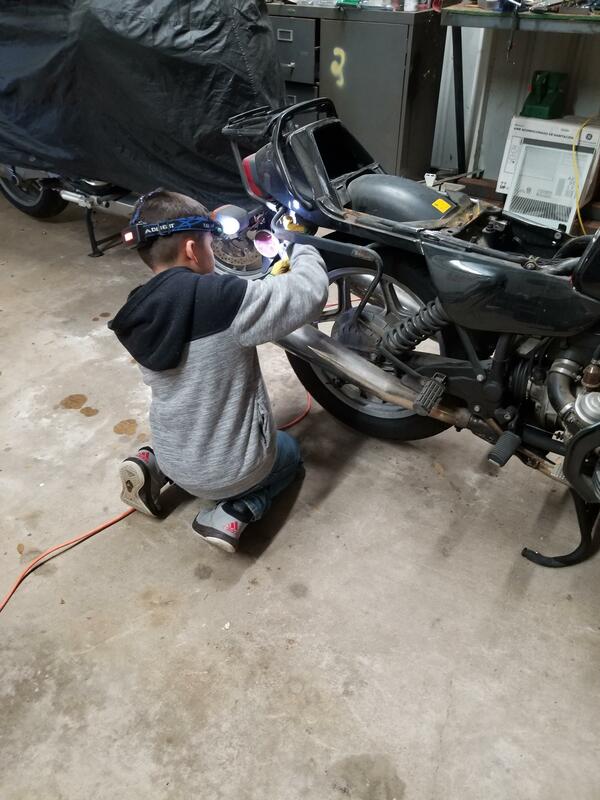 My son (10yrsold) is turning the wrenches on the demo. I'll be putting it back together. He's in love with it. I'll have many slightly used parts for sale. I appreciate any help I can get on where to post that for sale. PadG and bmwcoolk1200 like this. Go to the "Tools" pull-down menu above and you will then find the "Classified" section you can post there. Good luck with your young "wrencher"!